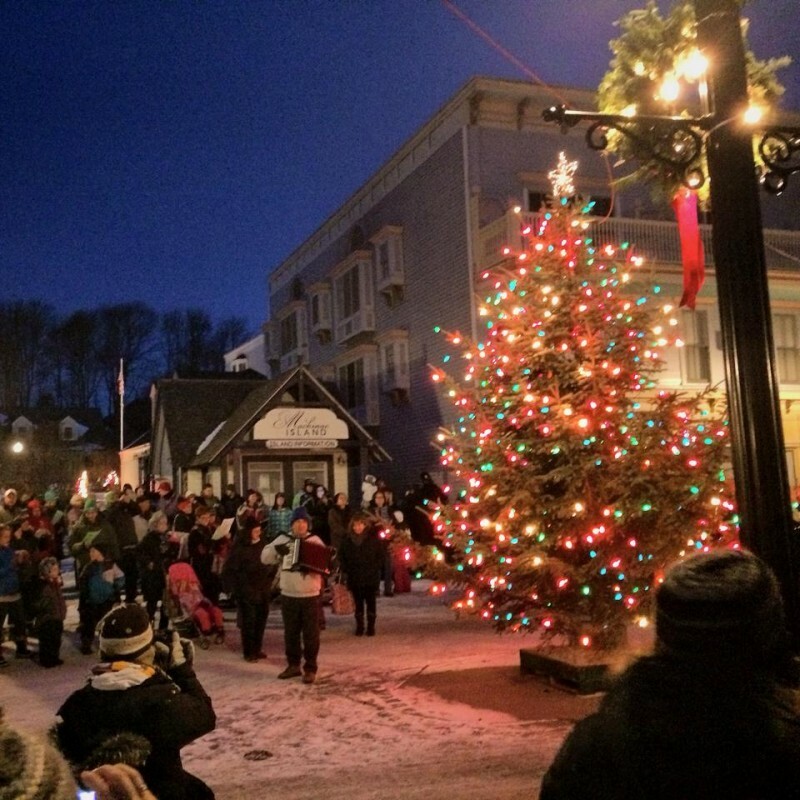 Ring in the New Year on Mackinac Island with countless opportunities for outdoor recreation. With cars banned, walk or snowshoe though a peaceful downtown Mackinac Island to one of the five accommodations, two restaurants and America’s Family Owned Oldest Grocery Store, Doud’s Market. Several shops also open their doors for guests. This New Year’s, Make it Mackinac. New Year’s Eve Hayrides now available. $30 for Adults, $20 for Children. Scheduled times are 12:00PM, 1:15PM, 2:30PM and 3:45PM. Pick up and drop off in front of the Lilac Tree Suites & Spa. Call (906) 847-6575 for reservations. Full menu with dinner specials. Music and dancing with DJ to ring in the New Year. Little Luxuries (906) 847-9980, Open December 20th and 28th through 31st. Please check back for hours. Mackinac Outfitters (906) 847-6100, Open select days during the Christmas Season. Please check back for more details. SomeWear on Mackinac (906) 847-3836, Open December 28th through January 2nd from 11:00 am to 4:00 pm daily. Mackinac Island Taxi Service (906) 847-3323 All reservations for evening or early morning must be made the day before by 3pm.